This post may contain referral links that provide Roses and Wine compensation. Please read disclosure for more information. Thank you for your support. Happy Saturday, everyone! 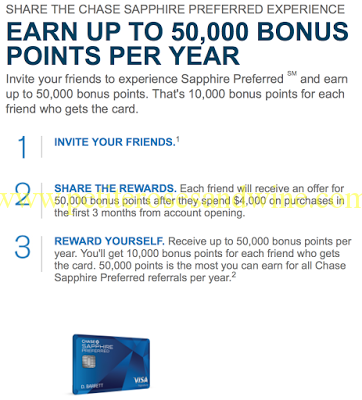 Today, I’m going to go over how I maximize the value of my Chase Sapphire Preferred Card and Ultimate Reward Points. Points are accumulated when using the credit card and can be redeemed in the Ultimate Reward portal. Points transfer to airline reward programs and hotel reward programs. In my opinion, this is the best option. Personally, I use my points on flights. Last year, I redeemed points for a one-way flight from DC to SF since the other leg of my flight was covered by the conference. This made my round trip flight essentially free, I just had to pay the security fees. Currently, I have enough points for a roundtrip to Asia. Using the Chase Sapphire Preferred Card on its own isn’t fully reaping all the benefits though. I maximize my card by using it in conjunction with the Chase Freedom Unlimited and Chase Freedom cards. The Chase Freedom Unlimited and Chase Freedom cards offer cash back on purchases but if you have the Chase Sapphire Preferred Card, you can transfer points from the Chase Freedom Cards onto the Chase Sapphire Preferred Card. Without the Chase Sapphire Preferred Card, you are limited to cash back and essentially getting less value since you miss out on points for reward travel. Right now Chase is having their Refer-A-Friend incentive. Through my referral link, my friends will receive an offer of 50,000 bonus points after they spend $4,000 on purchases in the first 3 months from account opening. Currently, the offer for new cardholders is 40,000 points after a $4,000 spend. So you get a bonus of 10,000 points by using my link and meeting the minimum spend. And the Chase Freedom Card.